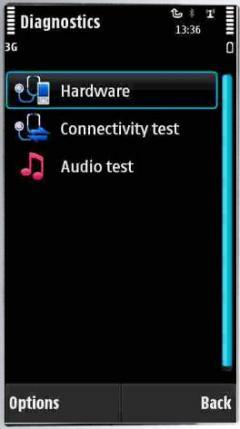 Nokia Mobile Dictionary Greek- is a dictionary application for translating words from one language to another. In addition to pre-installed language(s) you may download additional dictionary languages. 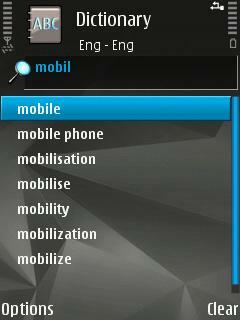 The dictionary application allows you to have English and two user-defined languages on your device at the same time. You may freely change the two languages according to your needs. The dictionary application asks you to remove some languages if the total number of three languages is exceed. Installed languages may be removed using Application manager on your mobile phone or by selecting "Languages - Remove language" from the "Options" menu of the dictionary application.